Joe Bonamassa is a vibrant and versatile guitar player whose music embodies the blues as it explores broader musical terrain. Joe is also a soulful singer and songwriter. Throughout the spring and summer of 2010 Bonamassa will be touring in support of his tenth solo album Black Rock - which recently debuted at number one on the Billboard Blues Chart. It was recorded at Black Rock Studios in Santorini, Greece. Black Rock blends the blues with rock and world tones and features a number of Greek musicians. Joe Bonammasa on stage in Red Bank, New Jersey. Bonamassa as a musician is very much like the black rock that lends its name to the new CD. Just like volcanic processes - Joe's music can be hot, smoldering, fiery, subtle or explosive, often all at once - and ultimately it's cool. Joe has risen to the top of his profession and will be in elite company this summer as he has been invited to participate in Eric Clapton's Crossroads III Concert that showcases the cream of the crop of guitar players. Joe and his tight touring team - Carmine Rojas (bass), Bogie Bowles (drums) and Rick Melick (keyboards) performed at the Count Basie Theater in Red Bank, New Jersey on April 21, 2010. The venue has undergone major interior renovations that captures the classic look of an old theater and is both charming and conducive to music. Joe was armed with an arsenal of axes and amps as he promptly took the stage at eight with a blazing version of "The Ballad of John Henry". Joe used a double neck guitar as he paced and played to the appreciative audience at the Count Basie. 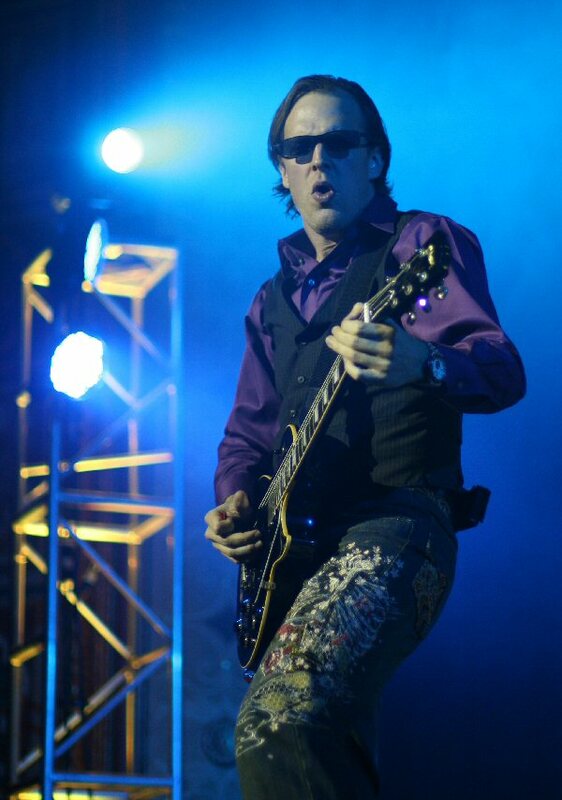 Bonamassa used effects to add edge to the tale as the song expanded on energized rhythms. Opening with "The Ballad of John Henry" on double-neck guitar. Joe switched to a Les Paul for "Last Kiss" as Rick tapped a tambourine at the start of the song. 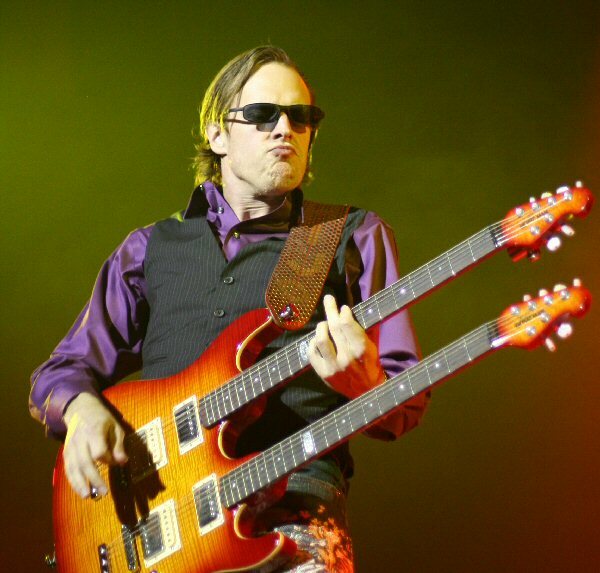 Bonamassa utilized the thumb thump technique combined with quick adjustments to his dials for a dynamic solo. At points, the keys floated between Joe's fluid fret work as the jam moved through more meters and moods. Joe played a number of Les Pauls for the next group of songs, which included the bluesy ballad "So Many Roads" and an up-tempo interpretation of "So It's Like That". "If Heartaches Were Nickels" was sultry enhanced by subtle grooves. Joe' vocals were soulful as was his string work. The tune cycled from soft to simmering. "Further On Up The Road" rocked and "Sloe Gin" was a tonic of tantalizing touches to the high notes of the guitar strings. The tune ranged from slow to full steam on bold beats blending with blistering leads. "Good Evening Red Bank, New Jersey," Joe said greeting the crowd while stating that he last played the venue seven years ago as Peter Frampton's opening act. "Thank you for coming out. We appreciate the 1500 of you here." 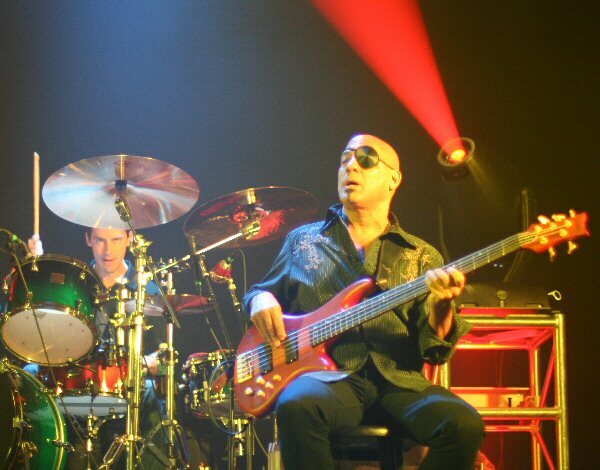 Carmine Rojas on bass - and Bogie Bowles on drums - formed a solid rhythm section. He also mentioned that over the past week he had been dealing with a massive sinus infection. When going through his e-mails on Facebook he said most of the messages were get well wishes and remedies. However, there was one post signed by Tommy of Red Bank, NJ who in effect said he spent his hard earned money on tickets and you better show up. Bonamassa and his band did more than just show up but delivered a dramatic set that was enriched by the effective use of stage lighting. At times, stars and circles and rays of light were reflected on the walls of the theater adding dynamic atmosphere to the music. "Lonesome Road" smoked while "Happier Times" was varied and vivid. "Blue and Evil" from Black Rock was breathtaking with its rousing rhythms and lavish leads. "Three Times A Fool" was a triple attack of brilliant bass lines, pronounced percussion and lush licks from a big bodied guitar. "Blue Deluxe" had delicate moments accented by the keys with Joe holding some long vocal notes. Saying he "could stop at two" - he brought up Tom again saying the email was basically an implication of bodily harm. So he delivered a third impassioned take on the note before bringing the tune to a close. Bonammassa was working hard to make Tom and the audience happy. His blue-collar 200 shows a year work ethic has paid off with an adoring, appreciative and converted fanbase and many industry accolades in recent years. This was our second Joe show in eight months and at both events we heard feedback from several first timers who reported they were now firmly in his fandom after seeing him perform live. Switching to a Gibson Firebird guitar Bonamassa and his talented band put their own sass and spin on The Who's "Young Man's Blues". Joe's solos soared over speeding rhythms. Joe's latest Black Rock CD and keyboard player Rick Melick. Alone with an acoustic, Joe played a progression of parts mixing picking and plunks as he alternated the pacing of the piece that was the stunning "Woke Up Dreaming". Bonamassa and the band closed the set with the masterful "Mountain Time" which tastefully mixed melody with rock elements. The encore included "Bird On A Wire" from the new album. It was a contemplative composition with expressive vocals and expansive instrumentation. "Just Got Paid" featured flashy fret work and forceful rhythms. The song zipped into some Zeppelin and ended with thank yous and group introductions. Joe Bonamassa and his band were blazing at the Count Basie drawing quite a bit from Joe's two most recent records. The set was diverse and dynamic demonstrating why Joe will be divine at the Crossroads Concert this summer. 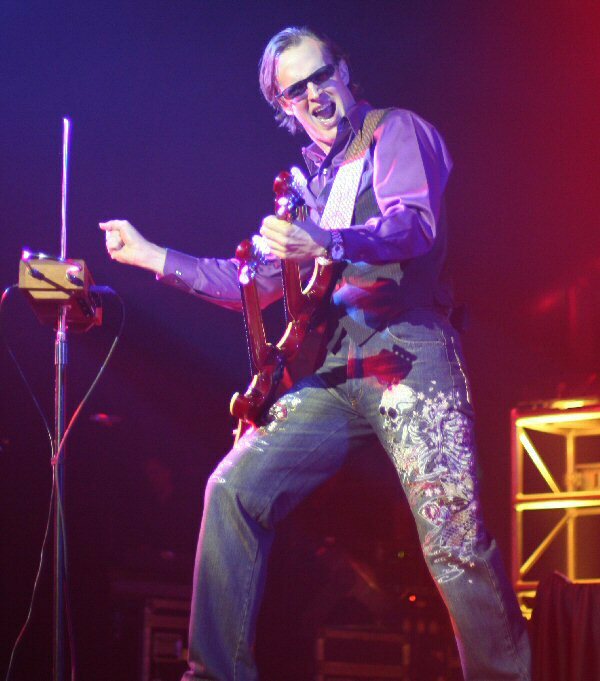 Bonamassa utilized a theremin to accent his fiery playing on a couple of songs.